So, Are We Getting An El Niño This Year Or What? The latest El Niño prediction is out and, while the odds are down from the predicted event this summer, forecasters are saying it's still more likely than not that we'll still see the phenomenon this year. 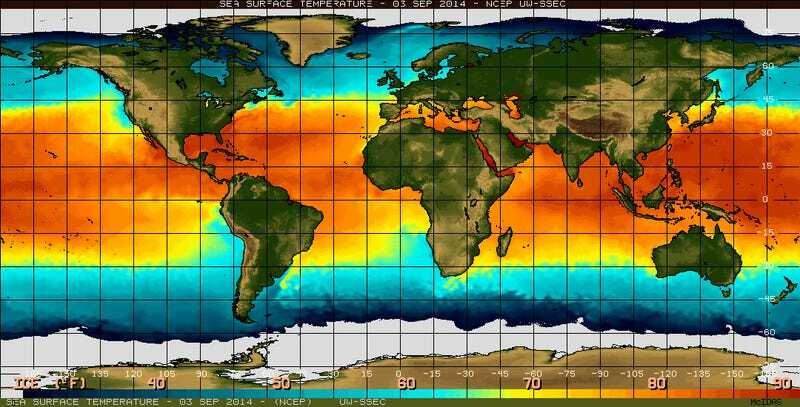 But what would a winter El Niño look like? The new El Niño prediction drops the chances of a 2014 arrival to 60-65% down from 70 - 80% that was predicted in June, interestingly it also puts the arrival not in the more typical warmer months but into the fall and winter months. Isn't an ENSO event (either El Niño or La Niña) supposed to develop in the late spring or summer, peak in the winter, and return to normal conditions in the spring? Generally speaking, yes. But, of course, it's not always so simple. ENSO is seasonally "phase-locked," meaning the events do follow a seasonal cycle, due to a series of physical processes that are a topic for a later post. However, it's a complex system, and there is a lot of variation in the timing.